Col. Billy (Bill) Bearden is retired from the United States Air Force after thirty-six combined years of military and commercial flying. His travels have covered some 70 different countries. He is a graduate of Auburn University, 1964 with a Masters from Embry Riddle Aeronautical University (1976), Daytona Beach, Fl. with post Masters work accomplished at Troy University. Bill and wife Esther Lee enjoy a common interest in biblical history and archeology, experiencing different cultures, and each other. Their diverse professional and cultural backgrounds have enhanced their personal lives in many ways. Bill was raised in the deeply conservative Southern US (Alabama) while Esther was born in China. She was raised in Taiwan after the Communist took over China in 1949. She came to the US in 1967 to complete her education here in America. They both assemble with the Church of Christ in Ohatchee, AL and travel always with an evangelical spirit. This work is dedicated to Esther's loving support, my children, Casey and Cyrus, and grandchildren, Emily, Hannah and Peyton. 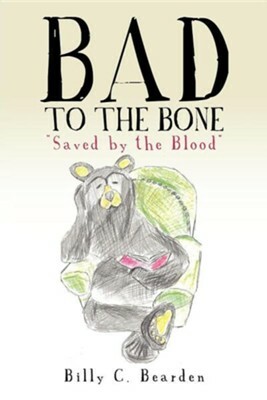 I'm the author/artist and I want to review Bad to the Bone, Paper.